In preparation for full implementation of the Agricultural Transformation Agenda Support Program Phase one (ATASP-1), the project implementation unit concluded sensitization workshops in the 30 local government areas (LGAs) where the program is being implemented. The LGAs cut across the seven states of Enugu, Anambra, Niger, Jigawa, Kano, Sokoto, and Kebbi. In attendance at the event were local government authorities, traditional rulers, farmers, extension agents, processors, youth, and women. The event afforded the commodity specialists the opportunity to explain to the stakeholders how the project will benefit them, mechanization plans, the value chain activities, the youth component, and their role and how it would ensure food sufficiency in cassava, rice, and sorghum commodities as well as jobs for young people. While thanking the ATASP-1 team for selecting their LGAs out of the 774 LGAs in Nigeria, they expressed optimism that the program will fill the agricultural and marketing gaps they face which is making their interest in farming decline. The authorities of the LGAs charged the farmers in their domain to take advantage of the program to make their life better. Also, they gave a firm assurance that they will provide farmland for demonstration and other support that will guarantee smooth implementation of the project in their communities. 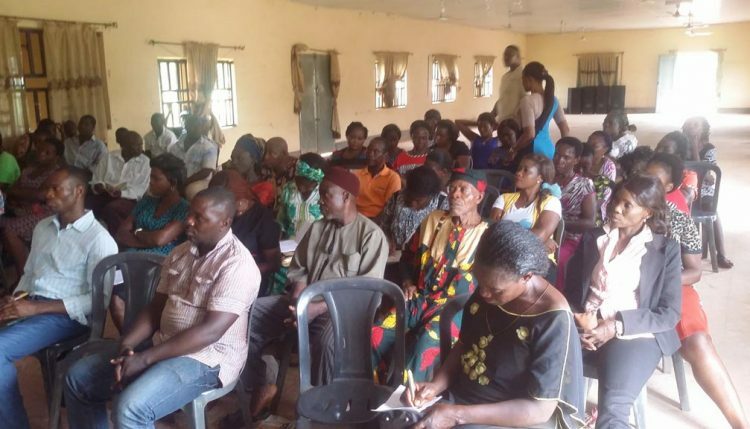 Some of the women who participated in the sensitization especially in Isi Uzo in Enugu State and Anyamelu in Anambra State were delighted to see IITA back in their communities. They narrated how previous IITA projects had touched and are still improving their lives and pledged absolute support to make ATASP-1 work. Earlier in the year, a similar sensitization workshop was held in the four Staple Crop Processing Zones (SCPZs) of Adani-Omor, Bida-Badegi, Kano-Jigawa, and Sokoto-Kebbi.